It’s all about where we see ourselves in the big picture. Have you ever looked down on someone because you saw them as beneath you? Maybe we don’t enter the day with that intention in mind. Yet, we see another person and make snap judgments based upon the way they look, the way they are dressed, their overall cleanliness. Sometimes, maybe without any real thought, we turn away from them and head in the other direction. Or, we hurry past time in the store. Or maybe we really don’t give them much of a thought at all. But there are other people that when we look at them, we see them as having it all together. We make those judgments based upon their clothes, their car, their wealth, their job, their status. Maybe instead of heading in the other direction, we try to find ways to move closer to them. That’s the world that James seeks to address. It’s a world where there is a bias against the “least of these” and a bias toward the “blessed of the blessed.” One of the places it is playing out in James’ time is in the community of faith. So, James seeks to turn that world upside down. Those in humble circumstances, the least of these, the poor are to take pride in their “high position.” And the rich, the wealthy, the blessed of the blessed are to take pride in “humiliation.” Is this a statement about wealth or something else? James is pointing out the fact that in a spiritual sense, we all come to the same place before God. For those who have nothing, God reaches out to lift up and love the “least of these.” For those who fall into a temptation of wealth as a god (with the little g), God shows what it means to lose all of our shame, guilt, etc., to be built up again in love. James challenges us to see the world in a new way. So, how will we see it today? Will we still see it with our biases and preferences? All-loving God, open our eyes to the world around us. Expose to us our biases and show us the ones that we might otherwise ignore. God help us to know that in you, we are all equals in need of your love, grace and mercy. In Christ’s name we pray, Amen. James 1:2-8: Joy in trials? 2 My brothers and sisters, whenever you face trials of any kind, consider it nothing but joy, 3 because you know that the testing of your faith produces endurance; 4 and let endurance have its full effect, so that you may be mature and complete, lacking in nothing. There are some moments in Scripture that can absolutely leave you scratching your head. Does James seriously think that I’m going to be joyful when I’m going through the tough moments in life? Maybe you get where I’m coming from on this. Joy is often times the last thing that I will feel in the moments of stress, the times of struggle, in the hours of pain, in dealing with fears and questions and doubts. Yet, that’s where this letter goes. Go to joy. Why? Because it’s a chain reaction. View it as joy because this trial can test your faith and show you just how much you need God. And when you realize that about your faith, your faith can mature and grow. But still, joy? Joy when someone is stabbing you in the back? Joy when people are talking about you? Joy when you hear a rumor or half-truth? Joy? Maybe what James is ultimately pointing us to is that we can reach a place in our faith when we see past the emotions that we encounter and we can see that God is still present. It’s a place on the other side of pain and doubt. It’s the place where we know that no matter what, God is there. Maybe that’s what can lead us to be able to ask God without doubt. Why? Because we’ve had the chance to see God in our trials. And because we’ve seen God there, we know that he’s going to be there in the future and that God’s never going to leave. Maybe that’s what I find myself coming back to. God is here, God is there. God is always. Even in the trials. And for some reason, that does start to make me feel joy. Almighty and loving God, thank you for your presence with me in the toughest moments of life. God, you are with me there just as you are with me in happiest of times. Help me, God, to find the joy in knowing you will not leave even in the toughest of moments I experience. In Jesus’ name I pray, amen. On the last day of our stay in the Dominican Republic, we spent some time on this beach. And it offered a chance to do some reflection on ministry and calling. Sometimes events in life don’t come with a warning light. Many times they don’t announce themselves at all — either on their arrival and on their leaving. Sometime around September 2013, life happened for me. I don’t know the day that it started, but I know what would come after that. Sometime in that month, I started a string of health events that would follow me well into this year. It started with a sinus infection that never really responded to medication. And things kept building from there. It would become a series of health events that included continued sinus infections, bronchitis, pneumonia, exposure to the flu, internal infections, an immune system crash and eventually sinus surgery to address an underlying issue. After spending more than nine months on a combination of steroids and antibiotics, I reached a place of feeling absolutely depleted physically, emotionally, mentally and spiritually. This ordeal affected my life, my personality, my relationships and my faith. Every journey brings with it opportunities and costs and this journey was costly. It cost me days and events and time with those I love the most. I was sick during key dates with my family: pneumonia and flu during our anniversary and the Christmas holidays, infections during Grace’s birthday and Valentine’s Day, sinus issues and infections during Easter, recovery from surgery on my own birthday and Denise’s birthday. It also left me limping through some of the biggest seasons in the church: I was ill through Advent, I could barely stand up with pneumonia on Christmas Eve, I was fighting a terrible infection during one of the church’s biggest weekends of outreach, I limped through Lent and Easter and into Annual Conference. Many Sundays became a time for me to put the energy I did have into sermons and then I would return home and collapse on the couch for the rest of the day. I know that those questions and those struggles that boil underneath will eventually come to the surface. They came out in my relationships with those I love the most. They started to make their way into my conversations with others. Those issues started to work their way into sermons. There were times I absolutely lost the energy to smile. Maybe I simply became a little darker and more sullen. Now, this is where I pause for a moment to make a theological statement. Sometimes people will say that we shouldn’t express questions, fears, doubts and frustrations (especially when you’re a pastor). I would challenge those who say that to read the Psalms written by David who is described as a man after God’s own heart. David has a tendency to ask the questions that others won’t ask and to cry out to God in pain, despair and frustration. But those things don’t last forever. Surgery in mid-May improved the sinus issue even if the recovery took longer than expected. The remnants of the sinus infection appeared again and I would knock it out in late June. By the time of the mission trip to the Dominican Republic in early July, I was healing physically. It was was also starting to impact my healing emotionally and mentally. Maybe sometimes there’s a sense that the spiritual aspect of healing is impacted by the other ways that we heal. In some ways, I was still feeling the affects of a broken and hurting heart. 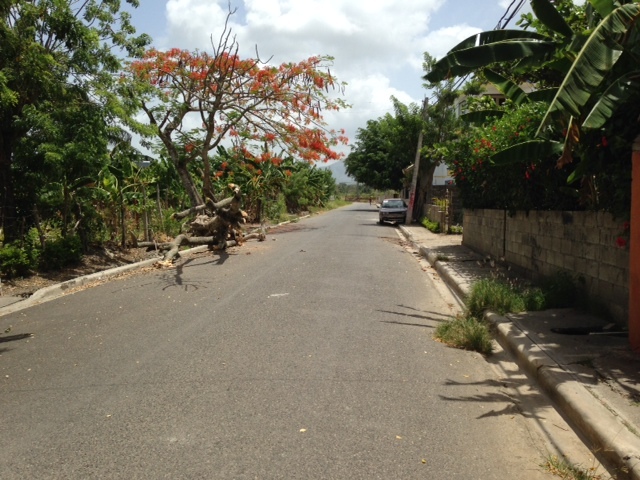 Then, we finally arrived (after a couple of days of trying) in the Dominican Republic. Somewhere in that time and that journey together, my healing took a significant step forward. I had the chance to remember why God called me in the first place and to see it play out before me. I reconnected with the heart of God by seeing others connect to God’s heart. I watched young people get excited about being missionaries and I witnessed some of them do things I’d never thought they would do. There were people there who truly loved God, who loved others and who were doing some amazing things in the name of Jesus. 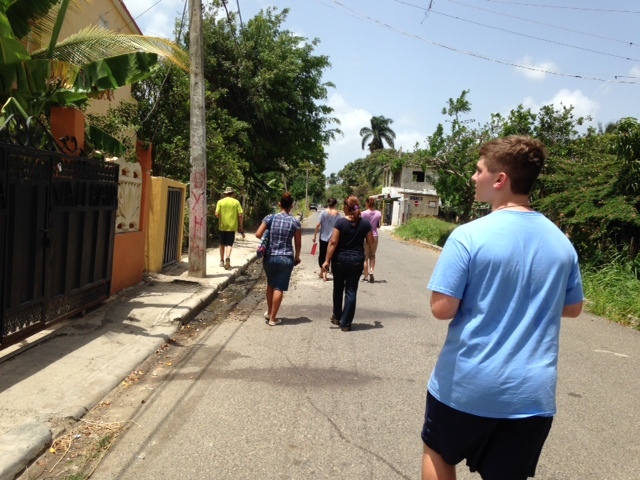 I talked to other pastors who were there in the Dominican Republic. I listened to their stories, their journeys of faith and I was reminded so much of my own. Maybe it was that day, as we sat there on the beach, talking about life and faith and church, that I really started to realize that God was working to heal me and my broken heart. I remember that verse where Jesus looks at his disciples and says, “I now call you friends…” I had that thought when we left the Dominican Republic to come home. I now had friends, those who shared in the same journey, in places like the Dominican Republic and in New York and in Prosperity and Columbia and Greenwood and all across the state. 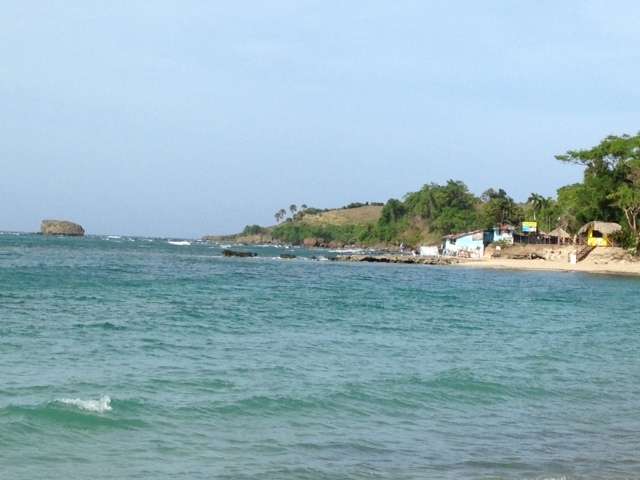 As I end this series of blogs related to that trip to the Dominican Republic, I realize some things that happened in my life and my heart and the impact they have on the minister that I’m becoming. God clearly called me into ministry. God didn’t call me into ministry because of what I could do. God called me into ministry because of what God can do through me. My worth in ministry is not determined by a weekly counting of noses (attendance) and nickels (money). My worth is ministry comes from the calling that God gave to me, is giving to me and will continue to give to me. The Gospel is the bottom line. It changes everything. It changes me. 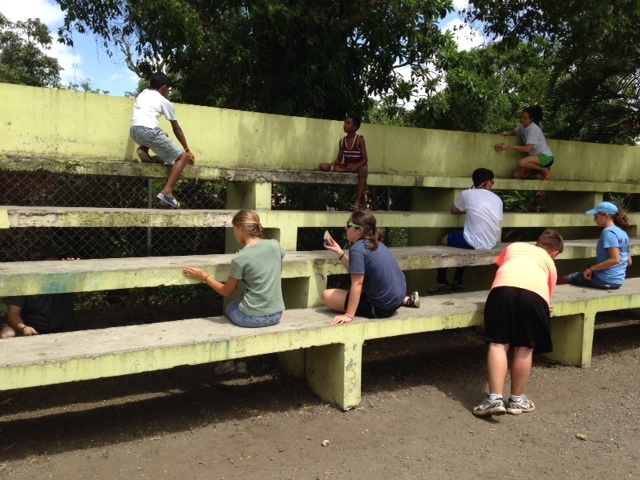 Participants in our mission trip and children from the community work together to scrape and paint bleachers in Santiago. Sometimes I think God speaks to us softly. It’s a gentle whisper, a nudge deep within us to do something. Sometimes, God speaks to us in such a clear way that it as if light is shining to show us the path. And then sometimes, and maybe it’s just with me, God borrows a move from Gibbs on the TV show, NCIS, and God smacks me on the back of the head. Trust me, it gets my attention. Somewhere in the middle of that missions trip to the Dominican moment, I had one of those head slap from God kind of moments. Maybe it’s because this trip put some distance between me and what I’d been experiencing since September 2013. Somewhere in that month, I started a battle with a nasty virus that would lead me through sinus infections, bronchitis, pneumonia, an immune system crash, etc. It would lead to round after round of antibiotics and steroids. Ultimately, I had sinus surgery. To say the least, it was a very trying period of my life. Maybe it was just that I was now in a situation where I had experienced some serious God moments (God-incidences — not coincidences!). Something in me was already opening up for this. But it happened one day in quiet time. But, there it was, in my head, and it started an inner conversation. In the situation that I found myself, how could we find a way to reach others for Christ? We had been doing that through personal evangelism and meetings with those in the community in Santiago. We did that through Vacation Bible School. We were spending time together in worship and we were having some very profound moments of spending time with God. But, something was tugging me in a different way. During the time that we had been in Santiago, the church (translated Eternal King Congregation) had hosted us, they had worshipped with us. They were the site of the Vacation Bible School. Maybe there was a way, in our role as missionaries, to come alongside this church and give them an opportunity to reach those in their community. So, we heard about a need for the church. The church was looking for some help with repainting its facilities. And we decided to respond. It was an interesting experiencing to go into one of the Dominican Republic’s versions of the home improvement stores that we are used to (Lowe’s, Home Depot). But we left armed with paint, rollers, brushes, scrapers, tape and other items. We were ready to make the church the mission. Now, I’m glad that I’m serving a church that does a lot of work on homes in the area around the church. The youth and leaders who were with us know what is involved in those kinds of projects. And they jumped in. We scraped the paint on the bleachers and on the basketball goals. We worked to repaint the backboards and repair one of the rims. But something bigger was happening here, something bigger than all of us. Within about 30 minutes of us starting this project, others joined in. It was children and teens from the neighborhood around the church. They were armed with scrapers, or flat rocks that we were using as scrapers. They took up paint brushes and rollers. I looked out at Steven Douglas, Wightman’s youth minister, and he also had a group following him from project to project. The youth who were serving as missionaries were doing the same thing. Then other things started to happen. Others from the neighborhood began to arrive at the church. They brought coconuts and fresh mangos. Someone nearby shared with us some fried yucca. Members of the church arrived and they joined in. In the afternoon, we would take a break from our painting to help with VBS, but we would return the next day and our helpers would return too. Sometimes, most definitely, the church is the mission. And maybe in that moment, I had some insight into how I view the church. – The church’s mission is to “go” and by going, it means the church steps out from behind the walls and goes into the world. Going into the world isn’t easy and sometimes it’s messy, but it is there that are able to show what it means to love Jesus. – The church is open to all. The church encourages people of all backgrounds to work together for a common purpose, sharing the love of Christ with the world. In those moments, we are most like the Kingdom of God. It doesn’t matter where we are in the journey of faith, there should be a place for us in the church. – The church opens doors. By doing things that help others, by showing hospitality to the world, we open the door to sharing Christ with others. – The church helps us to take steps to move toward Jesus. The church is a place for people to bring all that they have experienced, all of their burdens, and it is the place where we can lay them down before Christ. By sharing together in the community of faith, we have the strength to takes steps toward Jesus. – The church doesn’t need a mission. The church is the mission.